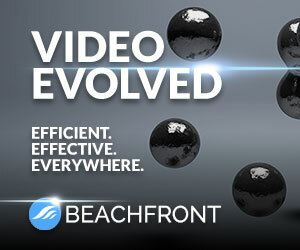 Why Should You Tell VideoNuze iQ About Your Video Data? If you are publishing video industry data and reports, then no doubt you’re investing plenty of time and resources to deliver the maximum amount of value. To help drive more visibility and to have your data be better understood in the market, please share it with VideoNuze iQ. We are relentlessly focused on analyzing, reporting and curating the best video industry-related data in the highest-quality manner. The more advance notice you give us to review draft data/reports early and/or under embargo, the more likely we’ll be to optimize our coverage. We can’t guarantee we’ll have the resources to cover everything, but giving us as much of a heads-up as possible will certainly help our workflow and provide us time to ask follow-up questions, if applicable. And of course, we always welcome the opportunity to work with you to break news about new data! Contact Will Richmond to share your data.